I have been running for about 4 months. However, I had to stop about 2 weeks ago due to a pain in my calf muscle. It doesn't hurt until I try to run. I thought that if I stopped running for 7 - 10 days, it would heal. It has now been 2 weeks and the pain doesn't want to go away. Thanks for your question about your calf pain while running. If your pain is more to the side of the calf, it could actually be your shins that are hurting, possibly indicating shin splints. If it is more in the middle of the calf, then it is probably the bigger soleus muscle that is affected. If the pain is more to the bottom of the calf, it could actually be achilles tendinitis. Have you build up your mileage too quickly lately? Or have you changed workouts (incorporating quicker running training sessions or hill workouts increases the risks of these types of injuries)? Are your shoes right for your feet? These types of calf pain are best treated by applying ice and giving your legs some rest. Possibly go back to some easy, lower mileage workouts and include some cross-training instead. That's easy. Eliminate the causes. I.e. increase your mileage safely and get proper running shoes. I hope this helps to try to understand what is wrong and what you could possibly do to treat and to prevent your calf pain. When you can't find out what the exact issue is out of the three above, or if you think it is possibly something else alltogether, then do not hesitate to go to your doctor for a good opinion. Pretty hard doing this from a distance. 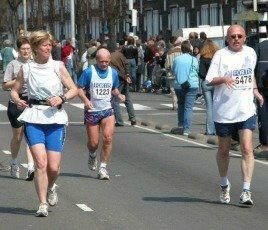 Comments for Calf Pain While Running. I AM HAVING THE EXACT SAME PROBLEM! YOUR ANSWER WAS MOST HELPFUL - THANK YOU! This was helpful if nothing else as a supportive thought. I, too, started running a few months ago and in the last few weeks have had a very disheartening time as my left calf is VERY tight and crampy when I start running. Then it is very painful after the run, also. I wanted to run MORE not less now that I discovered I enjoy running. I've been very frustrated! im having the same problem as well. it helps when i put heat on it afterwards but as soon as i resume running it gets very tight and immobile. dont know what to do as this has been going on for 5 months! 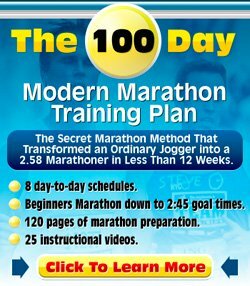 Check out a page on this website about running stretches. There are a few dedicated stretches on that page you can do battle shin splints. Give them a try. In the meanwhile reduce your mileage and consider working with an osteopath. If it has been five months, you need to start considering working with specialists!! Exactly.. I just started running in Jan. and found I love it but now my calf bothers me to the point I have had to stop for about a week now. So frustrating. I want to run a 10k in April and feeling like that might not happen. Really bummed out over it. For me it is a little different. I try to do a few stretches before starting to play soccer. Then within minutes, sometimes seconds, I get pain in both my calves especially the left calf. I do not think it is shin splits because I tape my calves so this prevents the shin splints pain. The pain I get is at the back of my calf and the toward the top half of my calf. What is interesting is that there are times that I get no pain while playing soccer and at other times within minutes of starting to play. So there appears to be no consistency which is frustrating. Can anyone please share any experiences and remedies. This would be extremely helpful to those of us in this situation. From what you describe, it sounds like it is your calf. Does it feel like a knot in your calf? Then some deep tissue massage by your physio or an osteopath will normally do wonders. You will probably need to do a few sessions with one of these specialists and should then be able to go again. Your half marathon in the Autumn should not be in jeopardy yet. Even if you're not an Olympic athlete, you could have exertional compartment syndrome if the pain is on the outsides of your calves. It is my experience that this is misdiagnosed in about 90% of cases of recreational runners with this type of pain. I recently moved cross country and where I lived before had a treadmill that I used when I ran. (Which was inconsistent, but before I left was at least once a week.) When I got here to my new place I was so excited to run in the far more interesting and scenic setting and I immediately went out for a run that was a bit longer than I usually do. I DID NOT stretch before I ran. BIG no no. I had calf pain in both calves and have had it for the last month and a half since. (I've been running from 1-4 times a week) It isn't unbearable, but it hurts me even when I'm just walking around the house. I wondered if this didn't also occur because of the formerly ok, now old and raggedy shoes I was running in. Anyway, I'm willing to guess that the main cause was just that one time that I didn't stretch at all, because I was totally fine before that one incident. I've now purchased new shoes, and I've been doing my best to stretch as much as I can before my runs. Any other advice? Did I do lasting damage? I guess I needed to look at the article mentioned a few comments down about running stretches. (check it out) It said that stretching before running isn't really that necessary, and stretching cold muscles can actually do damage. Perhaps the stretching I've done since is what has gotten me into trouble. I do stretch after runs as well, but not as much as before them. I now know to focus on the after. try differt shinpads and bigger socks. i had same trouble. hope this helps. the same happened to me. coming off a 3 day rest, i experienced sharp pain in my middle calf about a mile into my run. i took a few days off and was able to start jogging again. the operative word is "jogging" not "running." once i started, i found that running at a reduced speed (i.e., 5.0 - 5.5 mph) was pain free but once i sped up (i.e., 6.5 - 7.0), no matter how slow i increased the speed, the pain would return. Having the same problem, only my calf pain appears within a few minutes of jogging (6 mph). I thought maybe I hadn't drank enough water and I was cramping, but I proved that wrong by drinking a lot more and still having the pain. I can walk, bike and do the eliptical with no problem. My shoes are several years old, but not in bad shape overall. I do tend to stretch my calves a lot before I run, so maybe overstretching like someone else mentioned? I thought of overuse, but there is no pattern to the pain, sometimes I get it, sometimes I don't. I try to jog 4 to 5 times a week around 3 miles. I don't think that's too much, is it? Don't think the jogging is too much; might be good to look into a pair of new runners though. They may still look good, but sounds like you could benefit from a new pair.